We are thrilled to announce our first ever giveaway!!! 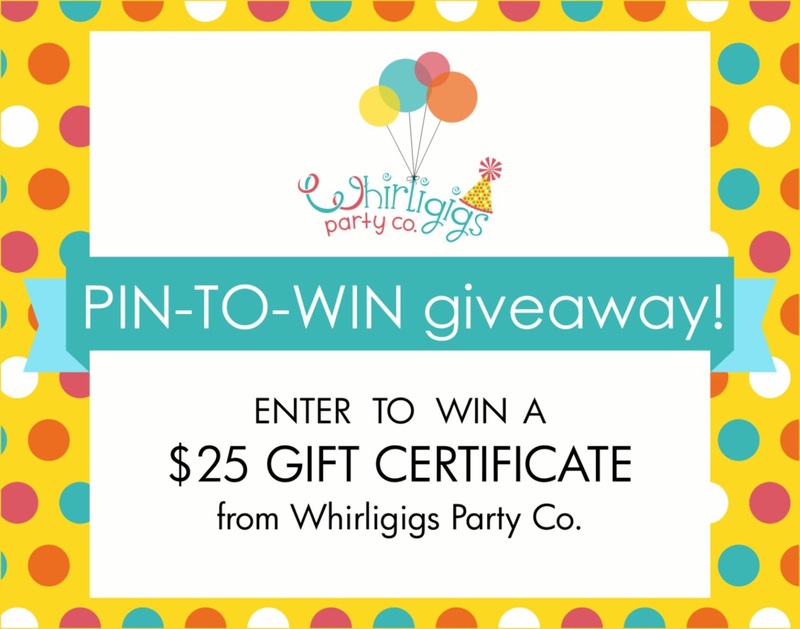 the Whirligigs Party Co. Etsy store. Enter our drawing for a $25 gift certificate by helping us expand our Pinterest presence. Pinterest is a image-based social website where users can "pin" pictures they like to pin boards they have set up in their profile. It's very addictive eye-candy fun, and if you haven't signed up yet, today is the day you should do that! That's it! We will announce the winner on July 1st here and on our facebook page.